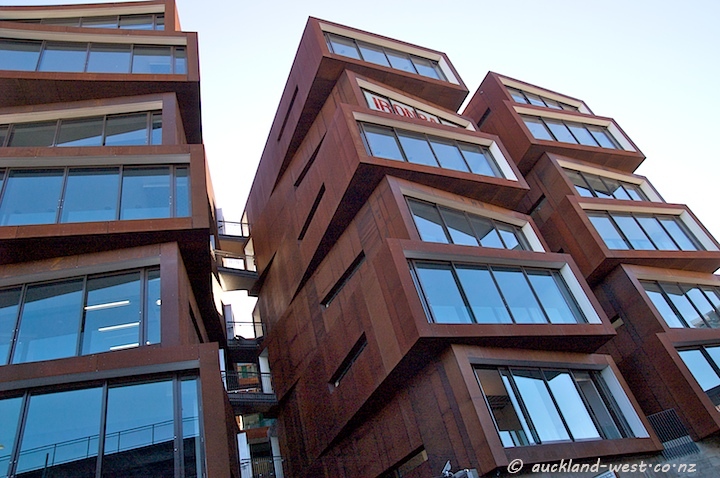 The Ironbank Building is a new office building at 150 Karangahape Road, consisting of five towers in the shape of stacked containers. Three of the towers face Cross Street, a narrow service lane parallel to K-Road, and two slightly lower ones face the main road. The building also provides a convenient passage way between K-Road and Cross Street, and as a consequence there are several new shops/cafes down there. 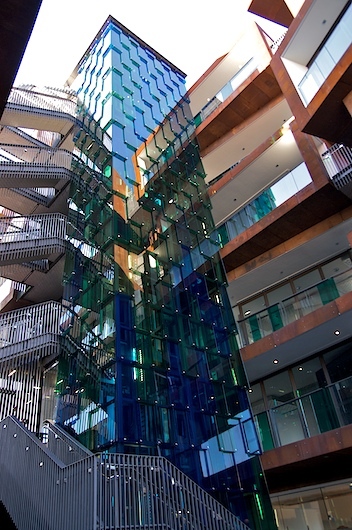 The design of the building has obviously captured the imagination of the world of architecture, earning the highest architectural accolade in the country (the NZ Architectural Medal) in 2010, and also being runner-up in the category of office buildings in a worldwide competition, the World Architecture Festival, Barcelona 2009. Design by RTA Studio, Auckland.